Apple has just officially released iTunes 10.5.1 to the public following several developer beta releases for testing. iTunes Match has been in the final testing stages for a couple of months, and beta 3 of the cloud music service was seeded to developers over the weekend. The new iTunes can be downloaded directly from Apple’s website, or via Software Update for Mac and Windows users. 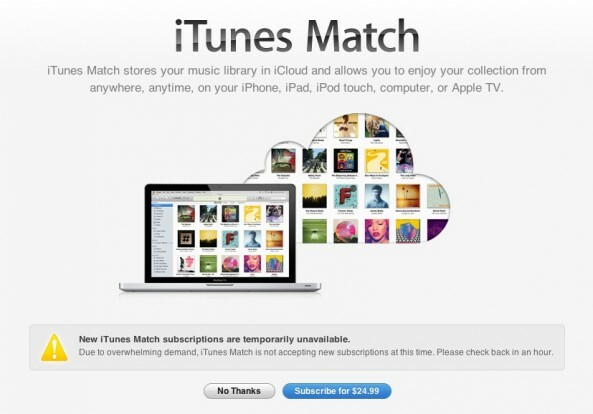 iTunes 10.5.1 is required to use iTunes Match, and iOS 5 users will be able to access their songs in the cloud once the service is enabled in iTunes. The new iTunes and iTunes Match may not be available to everyone just yet as Apple is still rolling everything out.